Calcite is an effective water filter media, extracted from its natural form of Calcium Carbonate available with high whiteness, purity and free flowing nature. It is generally used in residential and commercial water treatment applications by neutralizing acidic or low pH water to eliminate corrosiveness and to balance pH prior to iron treatment. 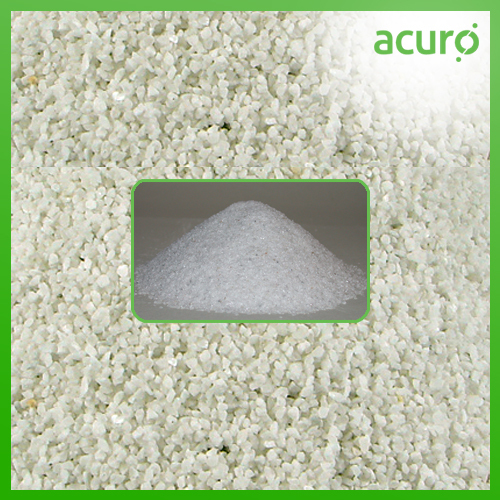 It is slow-acting for controlled pH neutralization of low hardness water with a pH level range from 5.0 to 6.9. It also has a widespread use in plastics as filler due to its high dispersibility, low oil absorption, high impact resistance, smooth surface finish, easy processing, excellent dimensional stability and compatibility with polymers and other organic additives.